TOMBSTONE’S PROFESSIONAL GAMBLER AND FIREFIGHTER, IKE ISAACS. BEFORE THE O.K. 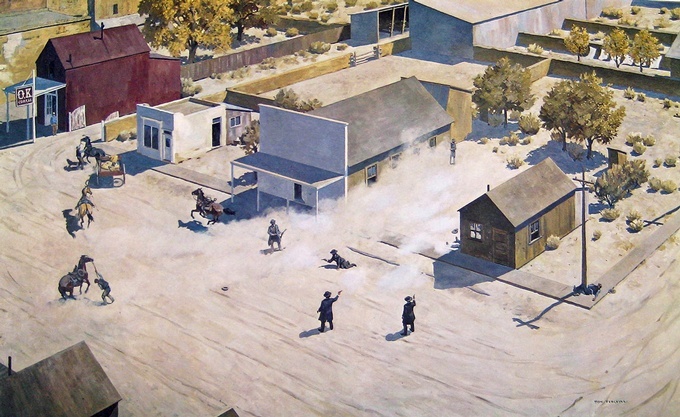 CORRAL GUNFIGHT, VIRGIL EARP PLAYED POKER ALL NIGHT WITH TOM MCLAURY, IKE CLANTON AND JOHN BEHAN. WAS IKE ISAACS THE INTRIGUING “FIFTH GAMBLER” WHOSE IDENTITY HAS SO LONG REMAINED UNKNOWN? 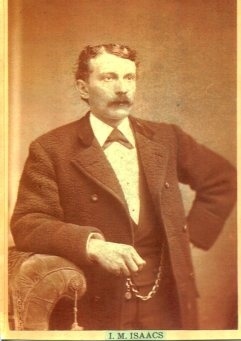 Tombstone gambler and firefighter, Ike Isaacs. Ike Isaacs came to Tombstone from Virginia City, Nevada, as did many others seeking out the next boom town. At V.C. he was active as a gambler and a firefighter. While in Tombstone he would run in similar circles to some of Tombstone’s most famous names. Like the Earps, he was a professional gambler, and he also had a keen interest in politics. He shared the Earps devotion to the Republican Party as well. And, just as Wyatt Earp and Virgil Earp did, he joined the ranks of the local firefighting fraternity. 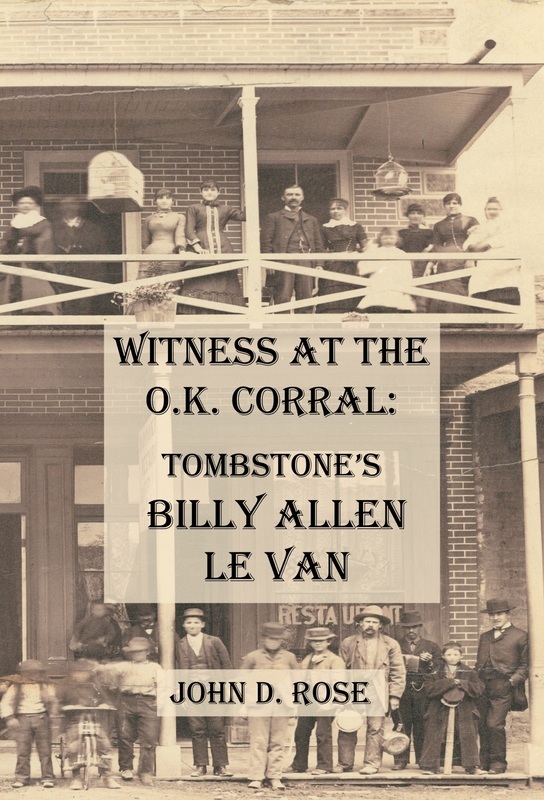 Ironically, a mining business partner of the Earps, Billy Allen Le Van, testified against the Earps at the Spicer Hearing which occurred in the wake of the Gunfight near the O.K. Corral. And Ike Isaacs served as Chief Engineer of the firefighters who would later attempt to save Billy Le Van’s most important Tombstone property, the Le Van House. And his personal penchant for politics motivated him to keep track of races for offices in both places, in his personal scrapbook. Remarkably, this scrapbook has survived the ages, and today is in the personal collection of the author, John D. Rose. An ad for Ike Isaacs Keno game in the back room of the Occidental Saloon, where the all-night poker game took place. This image is cropped from the original Commercial Advertiser dated April 22nd, 1882, contained within the collections of John D. Rose. Ike had rented the back room at the Occidental for his game, which was his mainstay. One of the broadsides that he had printed to promote his game at differing Tombstone saloons said “IKE” and the other referred to “Isaacs & Co.” The role of Web Colby (referred to in the receipt from Lewis Kissinger as “Colby” of “Isaacs & Colby”) may have been that of a quiet partner, as Ike was clearly the public face in the saloons, dealing with patrons on a regular basis. When the Nugget announced Ike’s move to the Occidental, no mention was made of Colby, and it reported that Ike would be running the game. An amusing anecdote followed the next year in the April 10, 1882 Tombstone Daily Epitaph: “If the gentleman who broke into the cabinet in Ike’s keno room will come around this evening he will be presented with two more Chinese dice and have the set complete, as he is known.” These articles show that Ike was running a regular business out of the Occidental from July 1881, at least through January 1882. Given his status as a professional gambler, it is reasonable that he would have been there consistently, including through the time of the O.K. Corral gunfight. Ike Isaacs was present in the Campbell & Hatch Saloon on the evening of March 18th, 1882, when an assassin’s bullet claimed the life of Morgan Earp. Ike testified at the coroner’s inquest into the incident, and was standing near the wood stove near George Berry, who also was struck, giving him an uncomfortable, but not fatal, flesh wound. Daily Epitaph, March 23rd, 1882. Computer graphics joining the two above images by Kevin Pyles. On Tuesday evening, October 25th, 1881, and through the night until dawn of Wednesday the 26th, the same room that Ike used for his Keno game would also play host to one of the most famous poker games in the history of the American West. An important catalyst for the coming violence was Doc Holliday’s public humiliation of Ike Clanton. It set in motion a series of threats not only against Holliday, but also the Earp brothers. Although there is no way to prove with certainty that Ike Isaacs was the fifth gambler, the Occidental Saloon receipt contained within the Isaacs scrapbook along with the other research above, offers for the first time in over 130 years a tantalizing possibility. Ike leased the back room of the Occidental and was active in running his Keno games. It is reasonable that Ike would be involved in the gambling that would take place in the room that he leased. If he were involved with his room when it was being used then he would have been the fifth gambler; however, definitive proof that Ike Isaacs was the fifth gambler did not surface in related Spicer Hearing testimony. It was a fateful sunrise that illuminated the streets of Tombstone on October 26th, 1881. As the daylight reached into the back room of the Occidental, two key players in that game and the drama to come decided to leave. Earlier that evening Ike Clanton had a row with Doc Holliday, and Holliday’s public humiliation of him was part of the lead up to the O.K. Corral Gunfight. If the all-night poker game had at all helped Ike diminish his anger, it was soon reignited, now focused at Virgil Earp. Regrettably, that prediction would soon come true as violence was visited upon Tombstone’s streets in the hours that followed. And three young men with their lives ahead of them would not live to the sunset that fateful day, October 26th, 1881. But the gunfight, and also the poker game that preceded it, were not to be forgotten then, or even today, well over a century afterward.